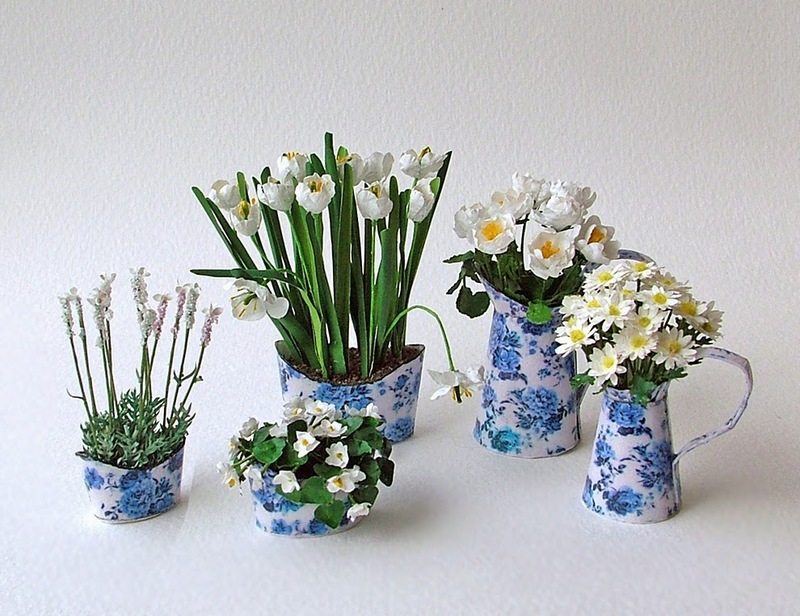 AIM Member, Marianne Cooke recently showed us her wonderful new set of flowers and told us about the inspiration behind this fabulous little set of flowers. 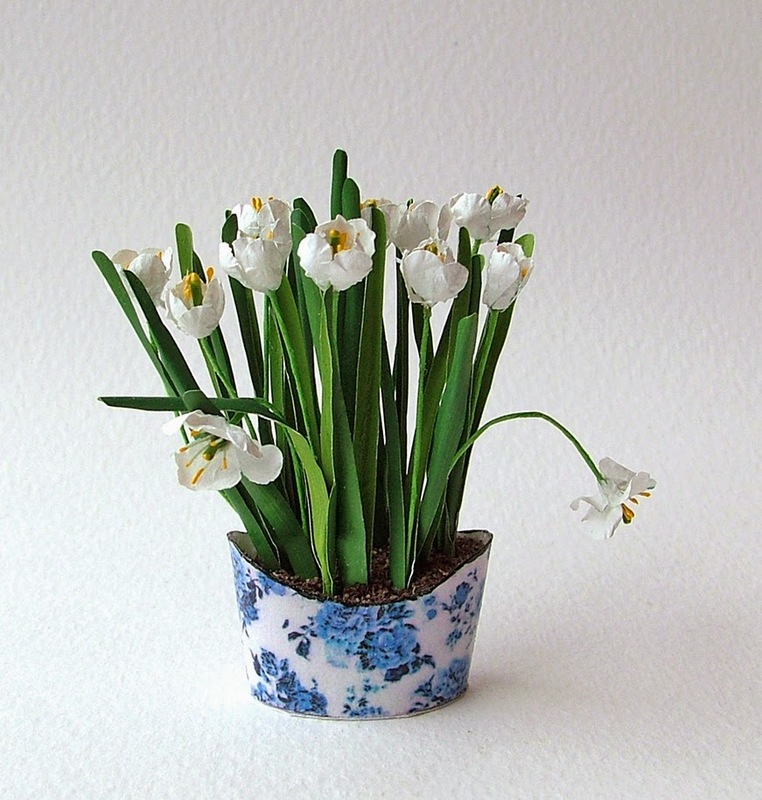 "I recently bought a little collection of Victorian style floral containers made by Spanish artisan Nieves Palacín in my favourite blue and white colourway - perfect for a traditional or a shabby chic modern home. I decided to keep to the blue and white theme and filled each with a different white flower: open, old-roses and fresh daisies for the two jugs, French lavender, begonias and tulips for the variously sized oval pots. They were great fun to make." I'm sure you will agree that they are lovely and they are currently for sale through Marianne's Etsy shop. Really lovely! Wonderful combination of the blue and white containers and the white flowers with the hint of yellow. A classic combination!